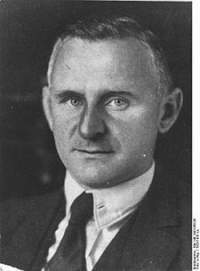 1884 Birth: Carl Friedrich Goerdeler: conservative German politician and opponent of the Nazi regime. 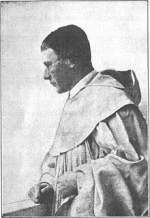 Goerdeler opposed the national socialist racial ideology. 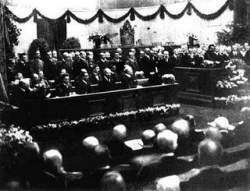 He left the DNVP in 1931 when this party began to cooperate with the Nazi party. 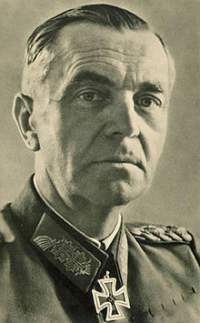 After 1933, Goerdeler was one of very few politicians in opposition to the ruling NSDAP. Several times, he attempted to help Leipzig Jewish businessmen threatened with "Aryanization" economic policies of the Nazi regime. When the Nazis in 1936 ordered the demolition of a monument to the German-Jewish composer Felix Mendelssohn, Goerdeler tried to achieve its rebuilding. After failing that he declined to accept his reelection as mayor of Leipzig and resigned from office. Willy to Nicky: On your appeal to my friendship and your call for assistance began to mediate between your and the Austro-Hungarian Government. While this action was proceeding your troops were mobilised against Austro-Hungary, my ally. Thereby, as I have already pointed out to you, my mediation has been made almost illusory. I have nevertheless continued my action. I now receive authentic news of serious preparations for war on my Eastern frontier. Responsibility for the safety of my empire forces preventive measures of defence upon me. In my endeavours to maintain the peace of the world I have gone to the utmost limit possible. The responsibility for the disaster which is now threatening the whole civilized world will not be laid at my door. In this moment it still lies in your power to avert it. Nobody is threatening the honour or power of Russia who can well afford to await the result of my mediation. My friendship for you and your empire, transmitted to me by my grandfather on his deathbed has always been sacred to me and I have honestly often backed up Russia when she was in serious trouble especially in her last war. The peace of Europe may still be maintained by you, if Russia will agree to stop the milit. measures which must threaten Germany and Austro-Hungary. Willy. Nicky to Willy: I thank you heartily for your mediation which begins to give one hope that all may yet end peacefully. It is technically impossible to stop our military preparations which were obligatory owing to Austria's mobilisation. We are far from wishing war. As long as the negotiations with Austria on Servia's account are taking place my troops shall not make any provocative action. I give you my solemn word for this. I put all my trust in God's mercy and hope in your successful mediation in Vienna for the welfare of our countries and for the peace of Europe. Your affectionate Nicky." On July 31, 1917, the Allies launch a renewed assault on German lines in the Flanders region of Belgium, in the much-contested region near Ypres, during World War I. The attack begins more than three months of brutal fighting, known as the Third Battle of Ypres. While the first and second battles at Ypres were attacks by the Germans against the Allied-controlled salient around Ypres–which crucially blocked any German advance to the English Channel–the third was spearheaded by the British commander in chief, Sir Douglas Haig. After the resounding failure of the Nivelle Offensive–named for its mastermind, the French commander Robert Nivelle–the previous May, followed by widespread mutinies within the French army, Haig insisted that the British should press ahead with another major offensive that summer. 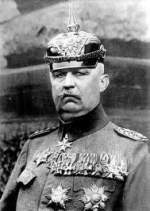 The aggressive and meticulously planned offensive, ostensibly aimed at destroying German submarine bases located on the north coast of Belgium, was in fact driven by Haig's (mistaken) belief that the German army was on the verge of collapse, and would be broken completely by a major Allied victory. After an opening barrage of some 3,000 guns, Haig ordered nine British divisions, led by Sir Hubert Gough's 5th Army, to advance on the German lines near the Belgian village of Passchendaele on July 31; they were joined by six French divisions. In the first two days of the attacks, while suffering heavy casualties, the Allies made significant advances–in some sectors pushing the Germans back more than a mile and taking more than 5,000 German prisoners–if not as significant as Haig had envisioned. The offensive was renewed in mid-August, though heavy rains and thickening mud severely hampered the effectiveness of Allied infantry and artillery and prevented substantial gains over the majority of the summer and early fall. Dissatisfied with his army's gains by the end of August, Haig had replaced Gough with Herbert Plumer at the head of the attack; after several small gains in September, the British were able to establish control over the ridge of land east of Ypres. 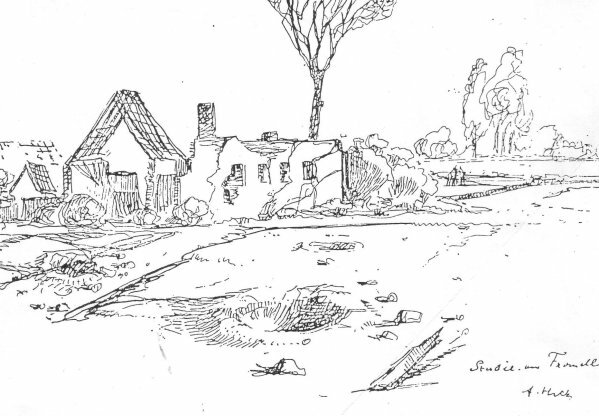 Encouraged, Haig pushed Plumer to continue the attacks towards the Passchendaele ridge, some 10 kilometers from Ypres. With an artillery bombardment that lasted three weeks the English prepared for their great offensive in Flanders. There the spirits of the dead seemed to live again. The regiment dug itself into the mud, clung to its shell-holes and craters, neither flinching nor wavering, but growing smaller in numbers day after day. 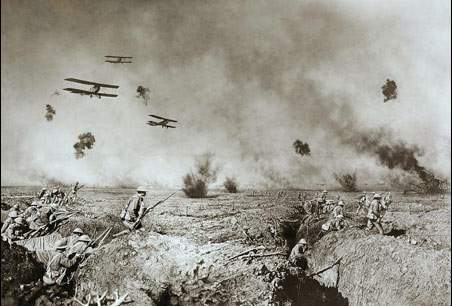 Finally the British launched their attack on July 31st, 1917. We were relieved in the beginning of August. The regiment had dwindled down to a few companies, who staggered back, mud-crusted, more like phantoms than human beings. Besides a few hundred yards of shell-holes, death was the only reward which the English gained. The fighting on the western front became more severe than any the Germany army had yet experienced. In the east we had to keep on hammering at Russia in order to bring about the fall of the Colossus. From the 31st of July till well into September was a period of tremendous anxiety. 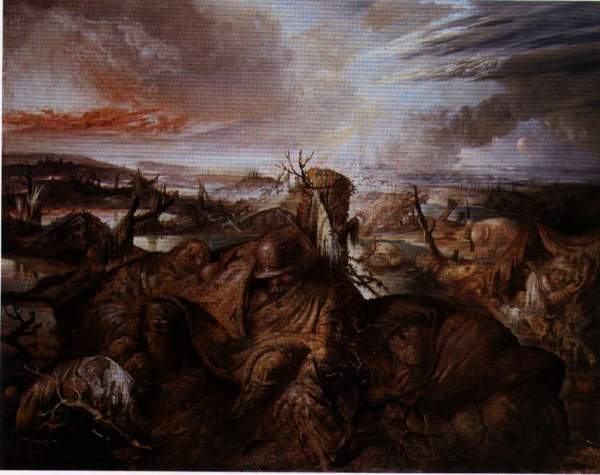 On the 31st of July the English, assisted by a few French Divisions on their left, had attacked on a front of about 31 kilometres, but besides the loss of from two to four kilometres along the whole front, it caused us very heavy losses in prisoners and stores, and a heavy expenditure of reserves. The wooded country on the front of attack gave our enemies the best opportunities to assemble masses of artillery and other necessaries of attack, together with their storm troops, and to keep them concealed. These preparations were hidden even from the most careful aerial observation. The enemy has brought the art of camouflage to the very highest development. In that he was materially helped by the fact that he possessed greater supplies of necessary materials and of labour. In this respect, as in so many others, matters are much more difficult for us. In order to deceive us, too, he worked arduously at making defensive positions and carried out visible movements which looked like a withdrawing of troops. Despite that, we were not deceived regarding his intentions. We knew he was preparing to attack and that every wood and gully was full of troops and materials. Only regarding the exact time of the attack we had no knowledge. We could accept the belief, however, that as our offensive was to take place further to the east its effect would be to make the enemy renounce the execution of his plans for an offensive. That hope, however, on account of the fact that our offensive did not reach our expectations, was not realized, and the enemy could, therefore, carry out his plans at a favourable moment. The moment of attack at dawn on July 18th was psychologically a good choice. It is only human that, with the coming of daylight, the tension which darkness produces should have been relaxed, a feeling of greater security should have taken its place, and the strained attention demanded during the night should have been involuntarily decreased. Fatigue comes over the watching troops. The enemy had in secret built a large number of tanks of a surprisingly small type, which had the advantage of greater mobility and were easily manoeuvred. These tanks led the way, and between and behind them, morally strengthened by their presence and protection, came storm troops. To low visibility in the early morning was added the difficulty of a complete view of the territory on which the attack took place, on account of the broken nature of the ground; the high standing corn concealed the advancing infantry masses and hid the low-built tanks. Thus our artillery could not be effective. Such were the circumstances and the nature of the French attack. If a state fails to perform the duties imposed upon it by the federal constitution or by federal law, the President . . . may enforce performance with the aid of the armed forces. If public order and security are seriously disturbed or endangered within the Federation, the President . . . may take all necessary steps for their restoration, intervening, if need be, with the aid of the armed forces. For the said purpose he may suspend for the time being, either wholly or in part, the fundamental rights described. In approaching the works of Primo Levi, it becomes clear that there were two major episodes in his life which profoundly influenced his writing. The first was his training as a chemist in Italy. 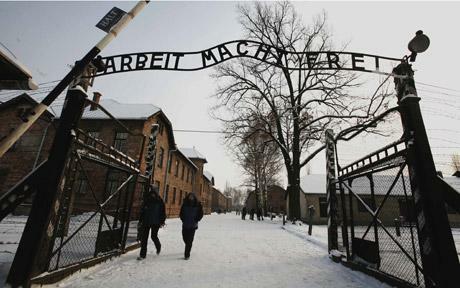 The second was his internment in the Auschwitz concentration camp, where he spent ten months from 1943 to 1944. Although these two aspects of Levi's life pervade nearly everything he wrote, they tend to fall on opposite ends. In April 1924, a committee under the chairmanship of the American banker, Charles G. Dawes, formulated a new plan for reparations payment. 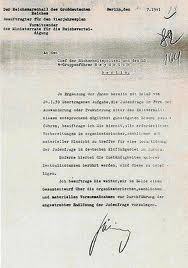 It left undecided the total sum to be paid but gave important concessions to Germany in regards to reparations. First, it allowed Germany a two years' moratorium. Secondly, it laid down the principle of graded instalments, which would increase as Germany's capacity to pay increased. Thirdly, international loans would be advanced to speed up German recovery and make possible speedy resumption of payment. The French government was satisfied with the Dawes Plan and ordered its troops to withdraw. The days are gone in which one could draw lines through Germany, when the nation tore itself apart, when we were first of all Bavarians or Prussians, Catholics or Protestants. National Socialism has brought the German people once more to an inner unity that transcends class, occupation, or Church membership. That unity is the best guarantee of the power, strength, and future of the Reich. Those who benefited from our internal conflicts sense that their last days have come. 1932 Weimar: Reichstag elections in Germany: Nazi party, 13,722,413 votes (37%), 229 seats; Socialists, 7,949,883 votes, 132 seats; Communists, 5,276,887 votes, 88 seats. 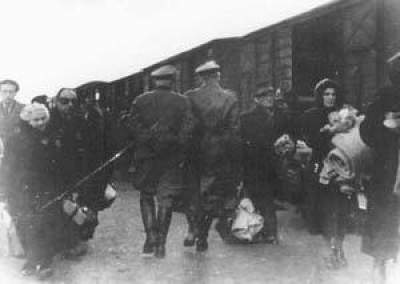 1935 Holocaust: The Berlin city council bars provincial Jews from entering the city. 1938 Antisemitism: In a period of 19 months prior to this date, William Dudley Pelley mails 3.5 tons of antisemitic propaganda from his headquarters in America. William Dudley Pelley was born in Lynn, Massachusetts on March 12, 1890, the son of a New England Methodist minister. His early family years were difficult and his father's pride in the family's "uncontaminated English stock," created a lasting impression on the young Pelley. A bright student, Pelley learned to write well and in 1917 he left for Hollywood to be a screen writer. He remained there until 1929. He contributed to films such as The Light in the Dark and The Shock, which both starred Lon Chaney. In 1928 he had a metaphysical experience which he wrote about in an article Seven Minutes in Eternity, for American Magazine. This account of his out-of-body experiences brought him national attention and fed a life-long fascination with metaphysics. In 1932 Pelly came to Asheville where he attempted to establish a college he called Galahad College. The college was located in a building once occupied by the Asheville Women's Club at the corner of Sunset Parkway and Charlotte Street and was largely a correspondence arrangement. The focus of the school was on "Christian Economics." Pelley also ran a publishing enterprise in the old Oteen/Biltmore bank building located in Biltmore village that he called Galahad Press. Among his publications was a weekly magazine, Liberation, in which he espoused his anti-Semitic views. When Hitler rose to power in Germany, Pelley mobilized like-minded followers into a legion he called the Silver Shirts and which others referred to as the "Christian American Patriots." The name "Silver Shirts" was taken from the uniform of the members of the organization and Hitler and the Nazi movement only fed his Aryan notions. In 1936 Pelley ran for President under a self-formed party called the "Christian Party." As part of his platform he vowed to "make it impossible for a Jew to own property in the United States," and to "defranchise [sic] the Jew by Constitutional Amendment," and other anti-Semitic propositions. He was finally curbed in 1942 when he was jailed for sedition. He remained in jail for seven of his fifteen year sentence. Barbarossa: Armeegruppe Nord, advancing toward Leningrad, reaches Lake Ilmen. The moment has come to put your Bolshevik qualities to work, to get ready to defend Leningrad without wasting words. We have to see that nobody is just an onlooker, and carry out in the least possible time the same kind of mobilisation of the workers that was done in 1918 and 1919. The enemy is at the gate. It is a question of life and death. [The] odds were heavily on the side of the Axis forces. Stalin still was being very stubborn in refusing to shift forces away from Moscow. 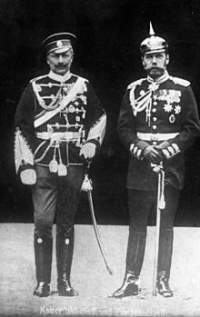 He kept the bulk of his forces north to protect Moscow from attack. As a result, 250,000 troops from Germany, Hungry, and Italy poured into the outskirts of Stalingrad. Army Group B moved across the Don River north of the city. Soviet resistance were folding, collapsing, and retreating across the entire Southern Front. Although Harris followed through the city bombing campaign with dogged determination, he did not conceive the idea or have any part in its discussion. The plan to switch targeting priority from precision bombing of specific targets to the area bombing of industrial centres was conceived by Air Ministry planners and supported by Lord Cherwell, Churchill's Chief Scientific Advisor who justified the policy as the "dehousing" of industrial workers. Area bombing came about as a result of the technical difficulties of precision bombing at night at that time. The policy was endorsed by Churchill and orders to carry it out were formally issued to Bomber Command. By July 30 the 4th Armored Division captured Avranches, cutting off the base of the Cotentin peninsula. Meanwhile, Canadian II Corps was attacking in the east to pin German units in place. By this time there was no coherent German front facing the 1st Army. Advance units were essentially penetrating into undefended territory. V-weapons: In the second month of V-1 attacks, 2,442 die while 7,107 are injured. This is the high point of V-1 effectiveness. The numbers will now decline as the British "develop sufficient defensive measures." The Soviets had launched their offensive on June 10 with more than a million men on four fronts, and in one week captured four strong points Hitler had designated as areas "to hold at all cost." 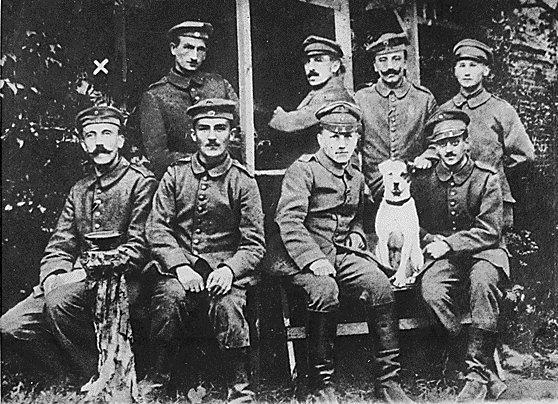 By August 1, they recaptured Vilnius, Lublin and Brest Litovsk, as well as all of Estonia and Latvia, and, having cleared the whole of Russian territory of the invader, they arrived within four hundred miles of Berlin. 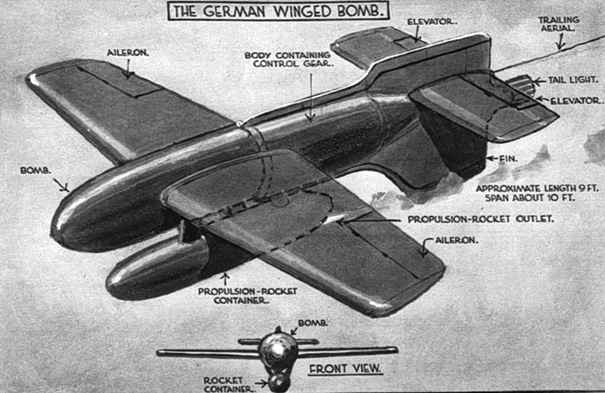 The long delayed launching of the first flying bombs (V-1s) on June 12 was a dud, and even when they became operational were disappointing in their minimal effect on British morale. The V-2s, finally ready in September after long delays, would cause more damage but again would not succeed in breaking the spirit of London's hardy inhabitants, including, from the first day of the war to the last, Britain's royal family. Speer, when talking to me, said time and again that there was a pathologically self-destructive element in Hitler's insistence on issuing orders the only resultant "glory" of which could be death. Almost the same thing could be said about Speer himself, who, however reunited with Hitler, was by this time not only aware that the war was lost, but also of the penalties likely to be imposed by the Allies on individual Germans who had committed war crimes. Operation Bluecoat:British VIII Corps begins an assault towards Vire. 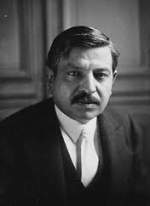 Pierre Laval, the puppet leader of Nazi-occupied Vichy France, surrenders to American authorities in Austria, who extradite him to France to stand trial. Laval, originally a deputy and senator of pacifist tendencies, shifted to the right in the 1930s while serving as minister of foreign affairs and twice as the French premier. A staunch anti-communist, he delayed the Soviet-Franco pact of 1935 and sought to align France with Fascist Italy. Hostile to the declaration of war against Germany in 1939, Laval encouraged the antiwar faction in the French government, and with the German invasion in 1940 he used his political influence to force an armistice with Germany. Henri Petain took over the new Vichy state, and Laval served as minister of state. Laval was dismissed by Petain in December 1940 for negotiating privately with Germany. 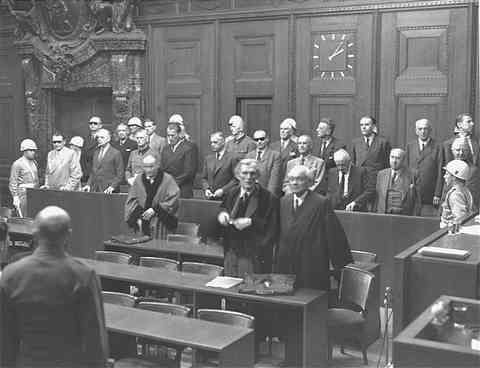 1946 Nuremberg Tribunal: The defense of the seven indicted Nazi organizations continues as Dr. Robert Servatius, Counsel for Leadership Corps of the Nazi Party, presents his case. 1980 Death: Pascual Jordan: theoretical and mathematical physicist who made significant contributions to quantum mechanics and quantum field theory. Jordan joined the NSDAP (Nazi Party) in May 1933. The following November he joined the Sturmabteilung (SA) - the brown shirted storm troopers. He enlisted in the Luftwaffe in 1939 and worked for a while at the Peenemunde rocket center. 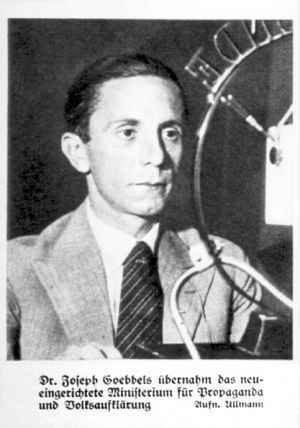 During the war he attempted to interest the party in various schemes for advanced weapons, but these were ignored because he was considered "politically unreliable", probably because of his past associations with Jews (in particular: Courant, Born, and Wolfgang Pauli) and "Jewish Physics" (such a stigma also followed Werner Heisenberg for some time under the Nazis) (see the article Deutsche Physik). It has been speculated that Jordan would have likely shared the 1954 Nobel Prize in Physics awarded to Max Born were it not for his membership in the Nazi party.